1314 Robert the Bruce defeats the English at the battle of Bannockburn, marking Scottish independence. Clans have developed from tribal and feudal systems; all members of the clan are related to a common ancestor through the male line and led by their laird. Catholicism is the primary religion with the Kirk having strong influence in government. 1400 The end of the Medieval Warm Period and beginning of the Little Ice Age which lasts to the 1800s. Scots (derived from Middle English) has become the official language of government and law but Scottish Gaelic persists in rural areas. 1496 The Education Act decrees mandatory education for sons of barons and freeholders, greatly increasing literacy in wealthy males. 1513 Scotland loses the battle of Flodden. James IV dies in battle. He is succeeded by James V, his only living legitimate child. 1542 Mary takes the throne at a mere 6 days old. The Regent consented to her marriage to the English prince but, as this was considered an exceedingly unpopular move, made no special rush to fulfill the child marriage. 1558 Mary's promised marriage to Prince Edward of England has yet to pass; England invades to enforce the marriage in a "rough wooing." The Scots responded by sending Mary to France to marry the Dauphin, Francis. 1560 The Treaty of Edinburgh leads to both England and France withdrawing their troops from Scotland. The Protestant Reformation sweeps the country, ending the Pope's authority and changing the primary religion to Presbyterian. Mary's husband Francis has died but she returns at last to Scotland as queen. 1594 The first written reference to the great kilt, a staple garment of the Highlands once the Little Ice Age took hold. 1603 James VI, son of Mary, inherits the English throne and becomes James I. The royal court is moved to London; he attempts and fails to form an imperial Great Britain. 1618 James I attempts to pushed the Five Articles on Scotland, which would enforce very Catholic practices. 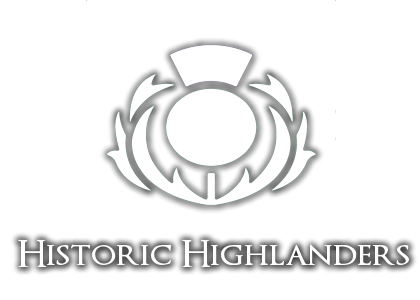 There was widespread opposition, particularly in the isolated Highlands where many practices (such as abstinence of the priesthood) had never taken hold. 1637 Deteriorating relations devolve into the Wars of the Three Kingdoms, also called the British Civil Wars. Scotland and Ireland rebel against England; Charles I attempts to convince Scotland to follow Anglican practices using military force. He wins militarily but not socially. 1690 The Seven Ill Years: four years of failed harvests lead to famine throughout Scotland and kills 5-15% of the population. Many make use of the Poor Laws meant to help community members back on their feet; many more must resort to begging. 1707 Through the Act of Union, Scotland and England are formally united as Great Britain. The deposed Stuarts become the central cause of Jacobitism and unrest. 1746 The Jacobites are destroyed at Culloden and Bonnie Prince Charlie flees to France, marking the end of Scottish independence from England.